The Twelve Apostles are a set of limestone rock towers located on the “Shipwreck Coast” of southern Australia in Port Campbell National Park. Port Campbell National Park is located on the “Great Ocean Road” in Victoria, Australia. Many of the original 12 have collapsed what is left still draws in the tourists. 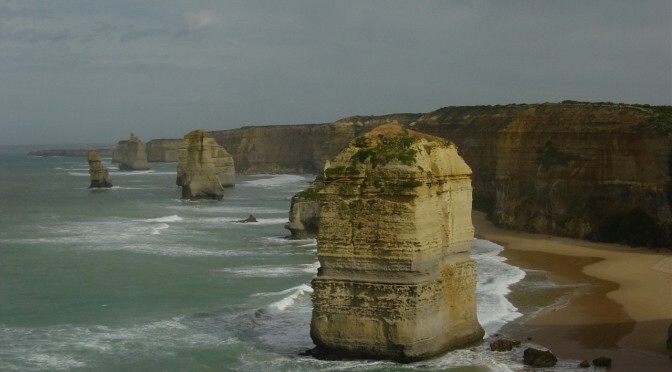 The Twelve Apostles is a collection of limestone stacks off the shore of the Port Campbell National Park.